Chartered valuation surveyors and estate agents. We can provide a full range of professional written valuations for all purposes. We'll help you secure the right level of compensation if your land or property is subject to a vesting order or wayleave notice. We can assess your property and ensure that you have an Energy Performance Certificate in place, which is compulsory when selling or letting. We can introduce you to a trusted, independent mortgage provider to help you take that next important step on the property ladder. 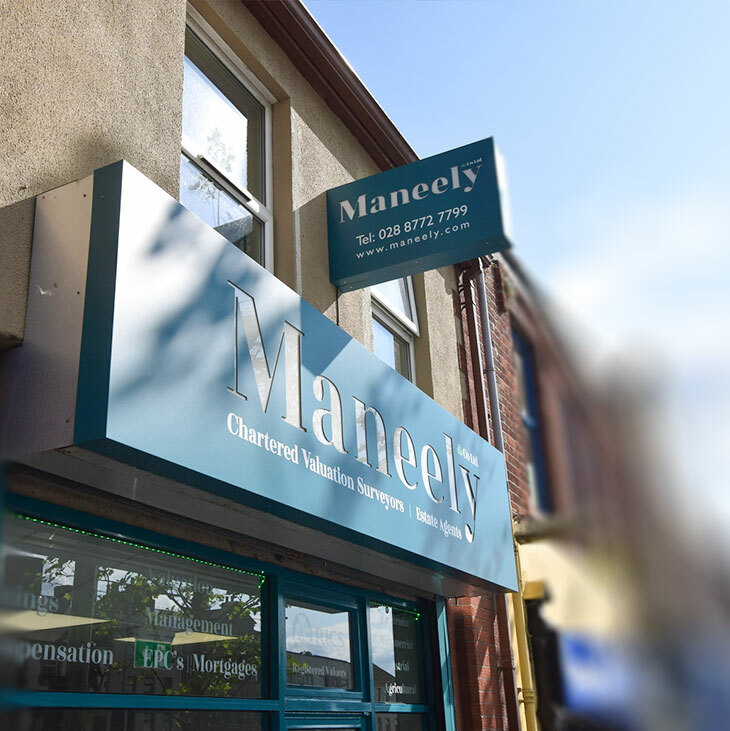 Located in the heart of Dungannon, we work across Mid Ulster and the surrounding areas, with clients including everyone from first-time buyers and seasoned home-owners, to business clients from a variety of sectors. Ensuring a straightforward process from start to finish, our qualified estate agents provide a reliable and fully personalised service that's always tailored to meet your individual needs. We'll manage everything for your complete peace of mind, expertly showcasing your property via our innovative software and professional photography, as well as conducting all viewings. With qualified surveyors also on hand, we'll guide you every step of the way - from the initial valuation, right through to finalising the sale. It really couldn't be easier.